Sometimes one is tempted to preserve one's knitting, but when it comes to cotton dishcloths, I use them until they start to give out. Doesn't quite look like the original, does it? 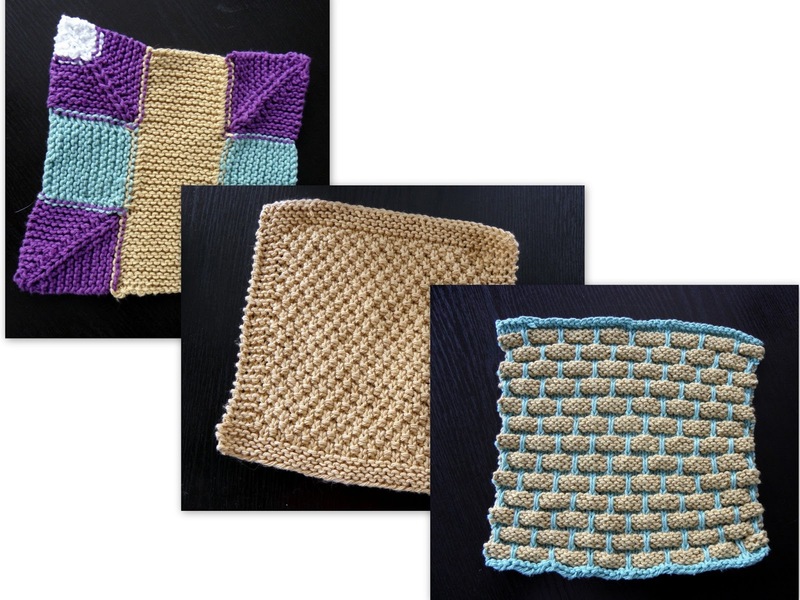 Knitting dishcloths is also a good way to get one's knitting mojo back after a summer break. The projects are small and useful and not wool. I made three replacements, one for general use and two for backups for when company comes. The ninepatch and ball band ones are from Mason-Dixon Knitting, the double moss stitch just your run-of-the-mill bordered-with-garter square. All are in Lion Brand cotton. The wash mitt I made my SO has seen its better days as well. So I also whipped up a new one of those. 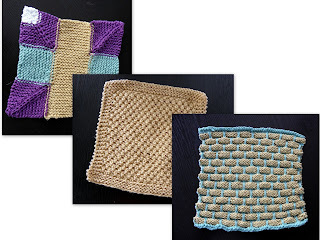 The last dishcloth I made was when I used those little loop 'weavers' they give to kids--I was so proud when I finally made one which looked decent! I am lucky I get motivated even to buy new dish clothes-I admire you for making yours!